John Oliver will be glad to hear this. (Thank you Orcas for the tip on this story). Bill Gates and Michael Bloomberg announced this week a $4 million fund to help small countries around the world with their legal battles against Big Tobacco. 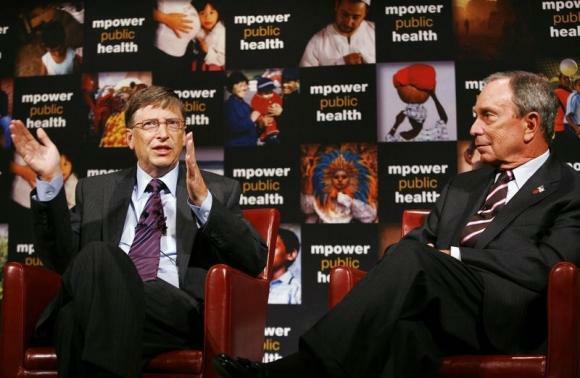 Gates is contributing through the Bill and Melinda Gates Foundation and Bloomberg through the Bloomberg Foundation. Oliver has been pounding away on this issue on his HBO show, “Last Week Tonight.” When small countries attempt to control tobacco branding and tobacco advertising, they get sued by Big Tobacco into submission though world trade agreement laws and courts into dropping their proposals. This has happened in Uruguay, Togo, Ireland and especially Australia (OK, not so small of a country, but it’s been a bloody legal battle there.). I hope $4 million is just a start, because I suspect the international Big Tobacco companies have a vastly bigger legal war chest than that. Anyway, it’s great that people are recognizing the problem that Oliver has exposed on his show. Bloomberg is a noted anti-smoking advocate … you could even call him a zealot (I know some New Yorkers would). As the mayor of New York, he oversaw a number of restrictions on smoking (strict smoking bans not only in bars and restaurants, but in parks) and tax increases for cigarettes. He could be accused of taking his health campaign too far into “nanny state” territory because he also tried to ban large sodas in New York, a move that was ruled illegal by the courts. His heart is in the right place, at least.